Write a Novel This Summer! 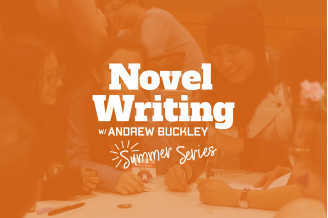 This writing series developed and taught by author and professional writer, Andrew Buckley, is designed to help those who are thinking of writing a novel, have started writing a novel, want to start a novel, or are just looking for something really awesome to do on a Wednesday night. The classes are open to all ages with each session includes interactive lessons and a Q&A/discussion to help each other further develop their stories and overcome storytelling obstacles. Pick and choose individual classes or sign up for the whole series!